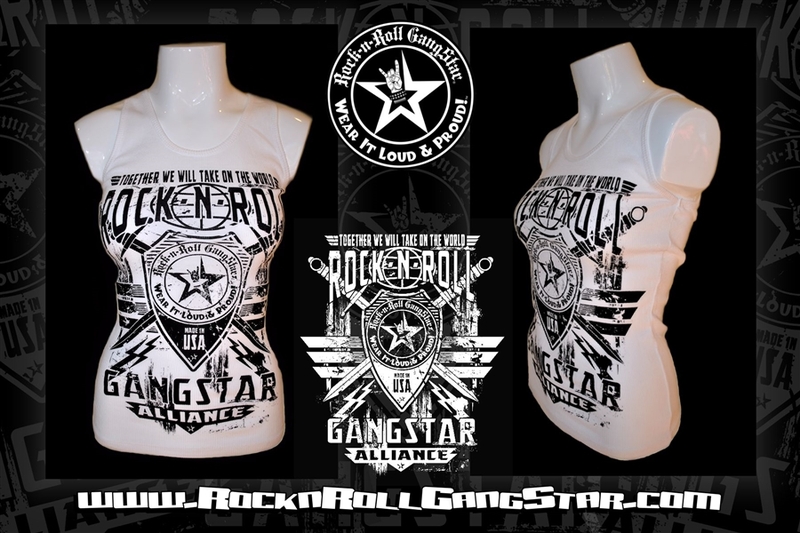 Rock-n-Roll GangStar Alliance V2 Girls boy beater tank top. 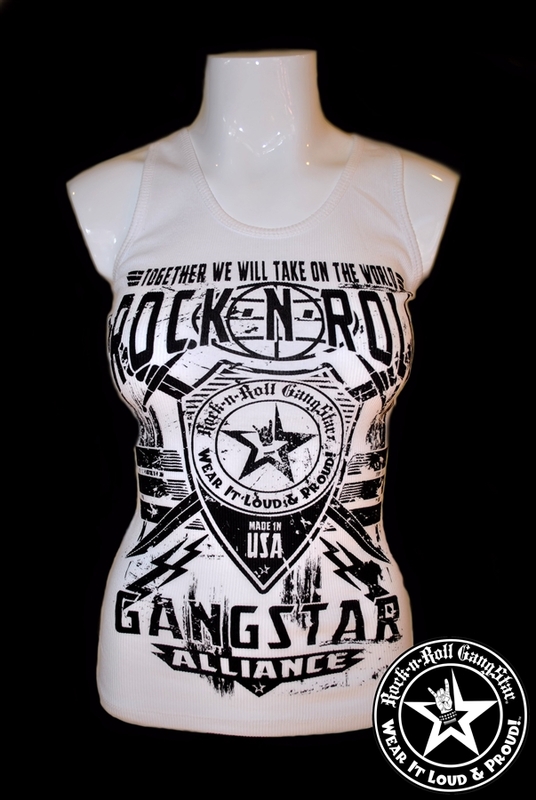 This is a variation of our original "Alliance" design with shield & swords & is for the person who lives and breathes Almighty Rock n Roll & Heavy Metal. Slogan: "Together We Will Take On The World." 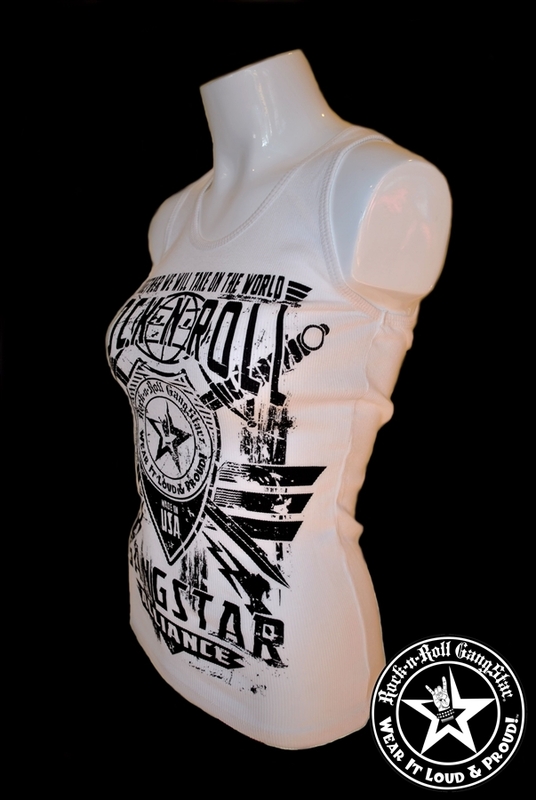 Color: White with black print discharge print, totally soft to the touch.